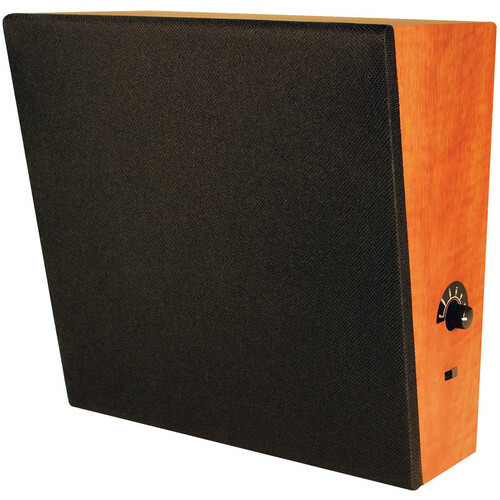 The WB86T Sloped-Front Fully Enclosed Wall Baffle Speaker with 8" Dual-Cone Driver from Speco Technologies features a fully enclosed design, solid wood construction, and comes with a 70/25V selectable transformer. A push terminal is provided on the rear for connection. Box Dimensions (LxWxH) 11.25 x 10.95 x 5.75"
WB86T Sloped-Front Fully Enclosed Wall Baffle Speaker with 8" Dual-Cone Driver is rated 5.0 out of 5 by 1. Rated 5 out of 5 by Soundman on the run. from Prompt service. Just as expected. Thanks for getting these out so quickly.